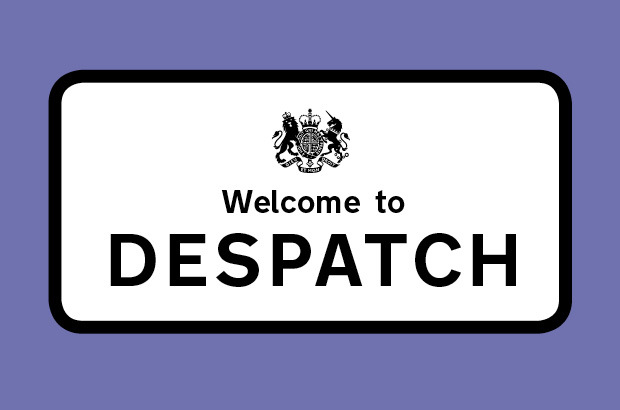 It’s been a while since we last published the Despatch ezine, but we’re relaunching in a new blog format that will be much more interactive. You can now post comments to give us your thoughts and feedback. Our posts will focus on topics that will be relevant to you as driver or rider trainers. We’ll be giving you regular updates on DVSA’s main projects, such as the review of the practical driving test or compulsory basic training (CBT). We’ll give you advice on things like how to use the DVSA logo or our YouTube videos. You’ll also be able to read posts covering the importance of reporting suspected illegal instruction, or the benefits of using the DVSA practical business service. We’ll always be looking to keep the blog fresh, so you’ll get regular posts from us. We’re open to receiving feedback – your comments are welcome, (providing of course that they meet our moderation policy). We’ll also be looking to you to tell us what you want to hear about in the future. So now it’s over to you - use the comments section at the bottom of the page to tell us what you think! Brilliant, I look forward to reading more in this format. Incidentally, it's not just ADIs who follow you. I'm an admin on the UK's largest motorcycle forum, where the the structure, content and quality of instruction and testing is a frequently discussed subject. It's great to be able to get the story straight from DVSA, as it helps to explain why ADIs and examiners deliver training and tests the way that they do. We'll be looking to do a blog post around motorcycle training over the next few weeks - please watch this space. Motorcycle blog would be great a good way of getting people together again. I think that it would be great to have more videos for drivers who have passed their test and need to sharpen up their skills. I have known many drivers who are over confident of their skills believing that they are perfect drivers and although they agree that all other drivers are suspicious, they do not drive according to the other motorists around. This machine is probably the most dangerous thing that many of us will ever be responsible for - it kills in seconds, it maims for life, it cost a fortune yet we all treat it like it is getting on a bike with the lesser risks involved! Sounds good to me! Looking forward to being involved. I'm still an ADI but mainly focus on CPD for driver trainers, coaching and driver aware courses. It's good to see the dispatch back. Hopefully it can be used to keep all the ADI"s up to speed with all the changes within the industry. Moving with the times ?? Well done ? It's great to see the return of Despatch. I'll give input also wherever I can. As a PCV Driver Trainer, our industry is changing frequently, and it would be good to see information and topics concerning the bus & coach industry including CPC!! would be nice to see some input regarding disability and specific learning needs, sadly this sector seems to be neglected by DVSA and some ADI's.